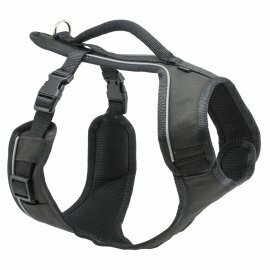 The EasySport™ Harness is fully adjustable and padded throughout, providing ultimate comfort for dogs. 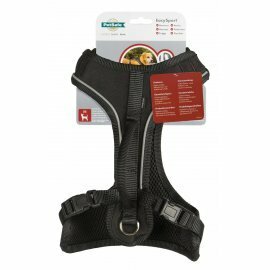 The nylon material and elasticised neckline allow for a cosy fit, while the 2 quick snap buckles make the harness easy to get on and off. The top handle provides an extra degree of safety when you need to control your dog quickly. Ideal for everyday wear, the EasySport™ Harness lets dogs enjoy life’s adventures in comfort and style. Measure your dog's width/girth by wrapping a tape measure around your dog's chest, just behind the front legs.